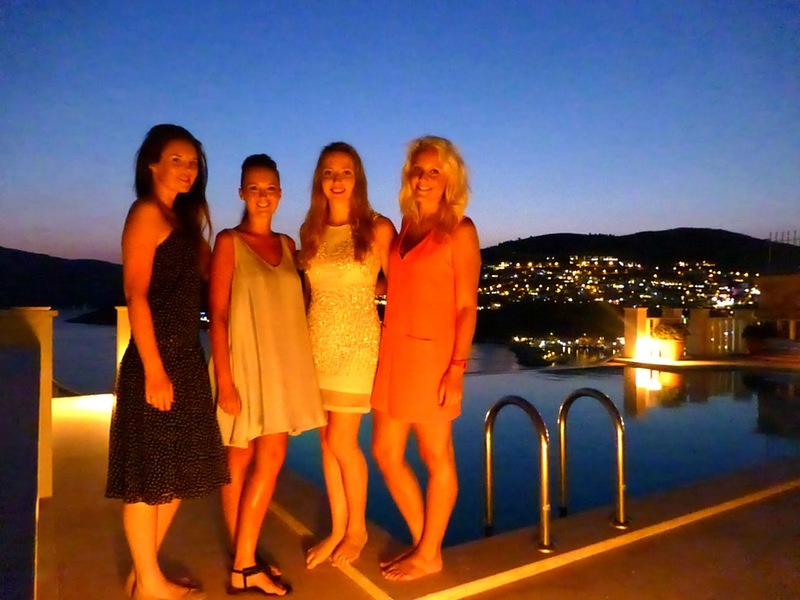 I was very lucky to be invited to stay at my friend Sophie’s villa in Kalkan, Turkey, about 1.5 hours south of Dalaman Airport. The view from the villa was stunning. Sophie has been coming to this gorgeous harbour town for 9 years, and after her parents also fell in love with the location and they invested in the villa which they rent out throughout the year. Over the week we’ve chilled out by the pool and of an evening, dined at Sophie’s favourite restaurants. 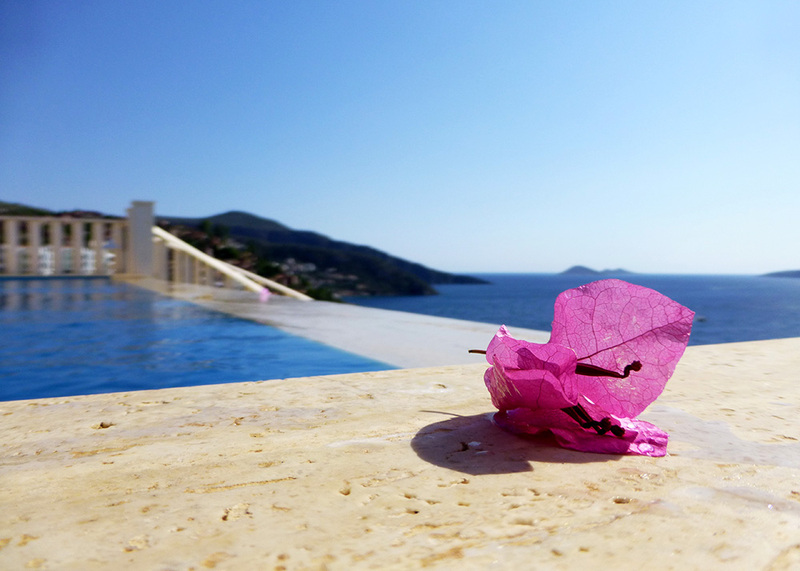 The view of Kalkan Bay from the Villa. At Aubergine, which is right on the edge of the harbour we were welcomed with fresh garlic bread, olives and pesto. The atmosphere was lively and the waiters were very welcoming and friendly. According to their website, the name has taken inspiration from the famous Turkish dish “The Priest Fainted” or “Imam bayıldı”. It is said that the simplest thing in the world is to prepare baked aubergine stuffed with onions, garlic, tomatoes and sweet peppers. Yet, when the Priest, whose wife created this dish, first tasted it, he fainted! For my main I actually chose moussaka, which was tasty and well presented. A great spot beside the harbour to enjoy a diverse menu. At Coast restaurant the following evening, we were treated very well as Sophie has known one of the managers there for many years. I chose a traditional Turkish dish, Walnut Kuzu. A lamb stew dish which surprisingly sweet, yet also had a nutty flavour, it was served with rice and was really very tasty. The atmosphere was equally nice, and the views over the harbour were lovely in the evening. On the third night we dined away from the harbour at Sade, a small terrace restaurant owned by a friend of Sophie’s, Erhan. 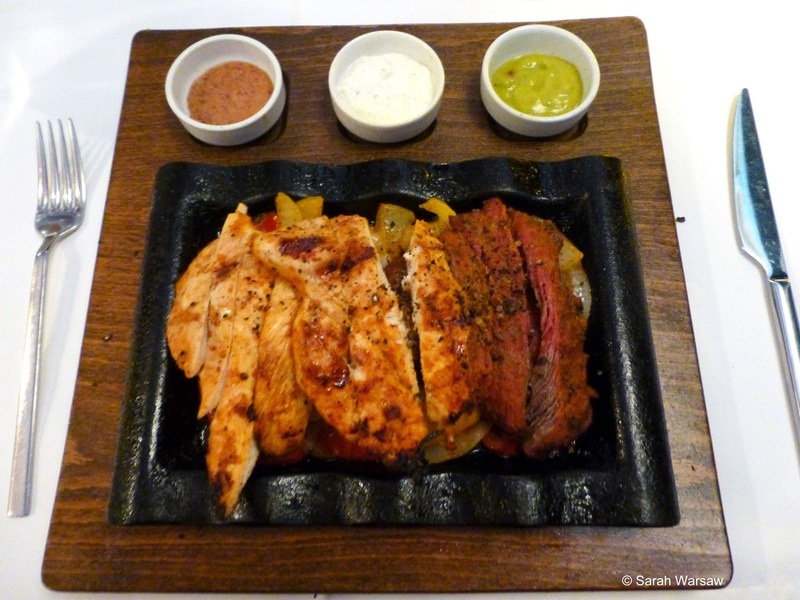 There was a range of mouth watering food on the menu and three of us opted for the steak and chicken fajitas. The chicken was chargrilled and succulent and the steak was cooked to medium perfection. 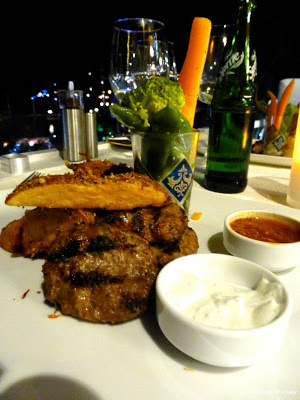 Despite also having some wine, the meal only cost 60TL which works out at about £20! A small, but intimate terrace restaurant that was welcoming and served delicious food. The next evening took us to the Doy Doy, which means ‘full up’ in Turkish. The relaxing atmosphere was complemented by a couple who were singing live in the undercover restaurant, which looked out over the Harbour, but just above Coast and Aubergine (Kalkan is very hilly). Between us we ate a good selection off the menu including pasta, prawn skewers, stuffed aubergine and flash fried vegetables. Later in the evening we headed to the gift shops and bought candle holders, bowls and Turkish eyes. Wednesday, we headed out on Muddy boat for a trip into Kalkan bay. 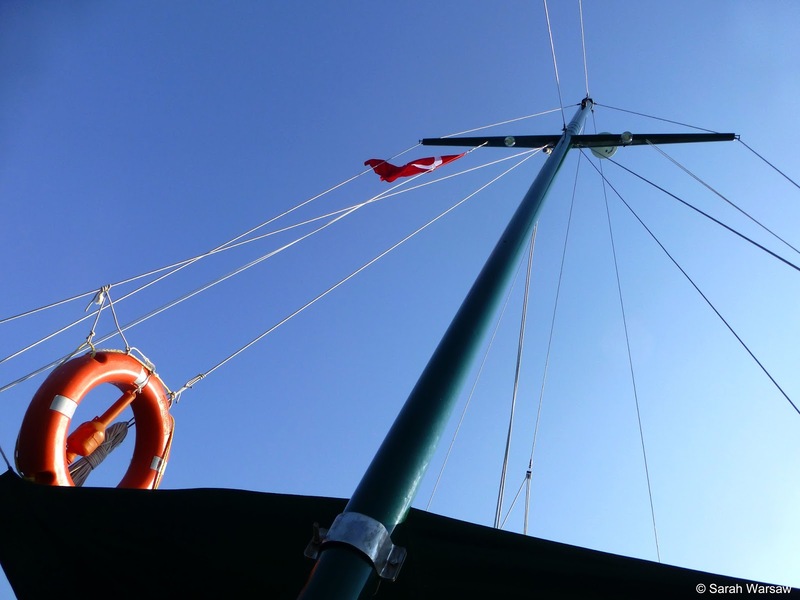 To start in the morning Fatih, the captain gave us some borek, which were pastry rolls filled with feta cheese. Later we had a fabulous lunch parked up on the shores of the surrounding islands; chicken, salad, calamari and fresh prawns. We sat on the shores, swam around the boat and I managed to get bashed up on the sharp rocks. Later we watched some sheep being dragged into the sea for a wash and had mud baths to make our skin smooth. During the afternoon we ate some fresh cherries, melon and other fruits. 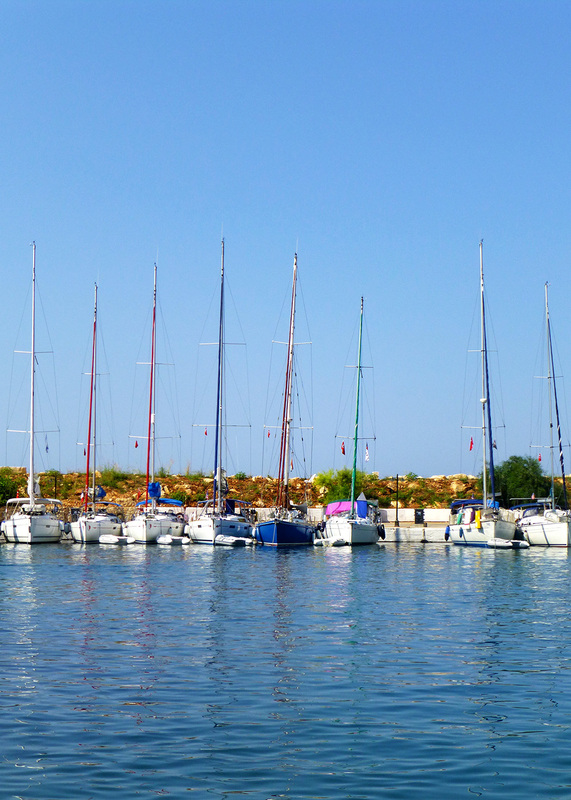 We took the boat around to see Patara beach, the longest beach in the region at 18km, around 11 miles. Here, sea turtles lay their eggs, in fact earlier in the day we saw a turtle swimming not to far from the boat! Thursday took three of us to the Market, I had hoped it was going to be more authentic than it was, it was actually full of fake clothing, sunglasses, perfume and handbags and seedy stall holders shouting “buy one get me free”. After a wander we ventured back into town to pick a restaurant for the evening. Salt and Pepper was our choice and it too delivered a tasty selection of meatballs, chicken and a vegetable moussaka for Sophie, who’s vegatarian. We ended our last night in Fountain bar, with cocktails, wine and Malibu. The gorgeous fountain was the centrepiece in the bar and the owner himself had built it. The owner and staff were friendly and the atmosphere was relaxing, with views over the beautiful Kalkan. Meatballs, with wedges, cous cous, yoghurt and salsa. 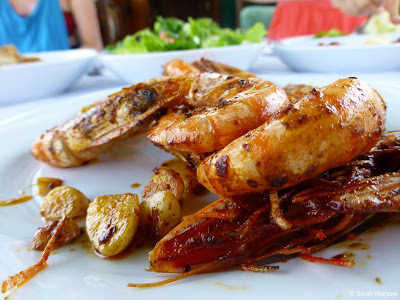 Our final meal was a late lunch at Touch Bistro, a small restaurant which isn’t too far from the centre of Kalkan, up and away from the harbour. I had a very flavoursome carbonara which was very reasonably priced. Grace got into the swing of things for heading home and had a full english breakfast, whilst Becky and Soph munched grilled cheese and vegetable sandwiches. 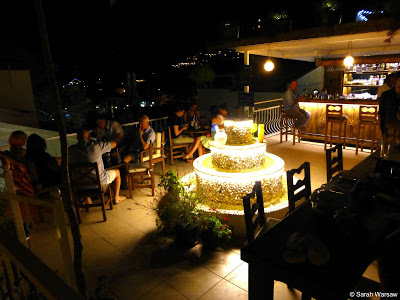 Rated #1 in Kalkan on TripAdvisor, this was a really tasty bistro for both lunch and dinner. Some gorgeous meals and fantastic views in Kalkan. The people were very friendly and the town itself was beautiful. I’d definitely return to visit more of the lovely restaurants and perhaps visit Patara beach! I loved using my new Lumix compact camera to take all the shots on this post. Next Post Travel Photographer of the Year! Hi thanks so much for introducing me to your blog, I love it! I'm now following on Bloglovin.